(SOMERSET, Ky., March 9, 2012) The Somerset-Pulaski County Chamber of Commerce has released its 2012 legislative agenda, which supports several pieces of “pro-business” legislation currently being discussed in the 2012 Kentucky General Assembly. The Somerset-Pulaski Co. Chamber is an advocate for the local business community. The Pulaski Chamber supports public policy that facilitates high wage/high skill job creation, entrepreneurship, capital investment and existing business retention and expansion. We also support public policy that contributes to a strong quality of life that attracts and retains jobs and investment. Throughout the 2012 legislative session, the Pulaski Chamber will encourage positive initiatives and work against legislation that could be harmful to our community and its economy. This agenda may evolve as other bills and issues arise. Create new sections of Subchapter 20 of KRS Chapter 154 to establish the angel investor tax credit program for certain investments in small businesses. Amend KRS 67.768 to require the Secretary of State to create a standard form to be used by all local tax districts for the filing of returns of net profits, gross receipts, and occupational license taxes. Amend KRS 159.010 to require compulsory attendance for children ages 6 to 17 by July 1, 2016, and for children ages 6 to 18 by July 1, 2017, delete counseling provision, make technical corrections; amend KRS 159.020 to conform. AN ACT relating to retirement and declaring an emergency. AN ACT relating to economic development. 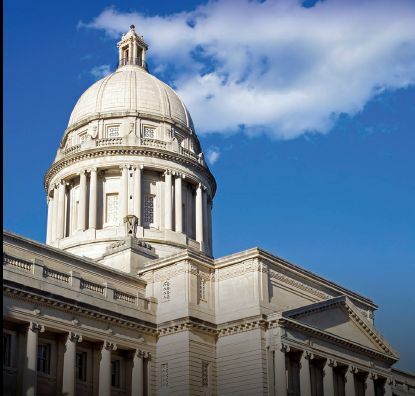 “This legislation is a win for job providers because it creates checks and balances on the rules state government places on job providers in Kentucky,” said Pulaski County Chamber Executive Director Bobby Clue. The Somerset-Pulaski Chamber is a countywide voice for business, representing approximately 550 businesses. The Chamber’s core purpose is to improve the overall business climate and quality of life for the area through sponsorships of programs which promote, facilitate, and stimulate economic growth, civic participation and development, business advocacy, and education.